The Kverneland Exacta TLX GEOSPREAD has almost exactly the same specifications as the Exacta TL GEOSPREAD, but comes with a newly designed CentreFlow system with 8 capacity vanes on each disc for a perfect overlap, no matter how fast you are driving. 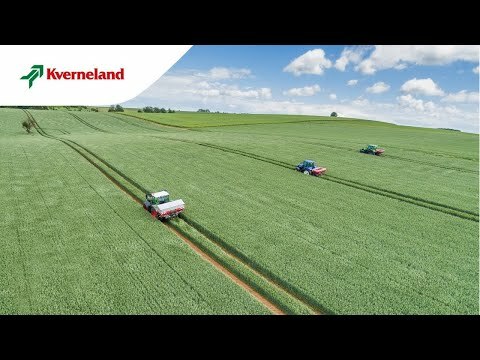 With 1 metre sections, 4 load cells and a reference sensor, the Kverneland Exacta TLX GEOSPREAD can do high speed spreading under all circumstances. This Exacta TLX GEOSPREAD spreader is ISOBUS compatible and AEF certified. You can operate the spreader in combination with the IsoMatch Tellus PRO, IsoMatch Tellus GO or any other ISOBUS compatible tractor terminal.